The Amerindian Land Titling Project has had measured success; however the project will have to seek an expansion to be completed following several “encumbrances”. Coordinator of the land titling project Enrique Munice said only a quarter of the 68 villages selected for the project has been demarcated. The three-year project is slated for completion in October. “The result so far can be seen as achieving measured success in some regards while some missing components that will give us that final thrust and produce the absolute grants and to complete the demarcation process may be missing,” Munice said. Munice was providing an update of the project to the Parliamentary Sectoral Committee on Natural Resources in the Chambers of Parliament Building, Brickdam, today. There are 13 communities which have been occupying state lands and are now seeking titles so as to become established villages while 32 have been previously demarcated and titled. “All of these 45 villages will have to receive absolute grants for the lands requested,” Munice explained. To complete the process for the 45 villages there has to be investigations within the communities and villages. “So far we’ve completed 41 of that 45 investigation with four outstanding which we will complete within the coming month,” said Munice. Munice said, to date 18 villages of a total of 68 have been demarcated while three are being prepared for the process. Nine villages within the Upper Mazaruni and the Pakaraima areas have not yet given consent for demarcation. 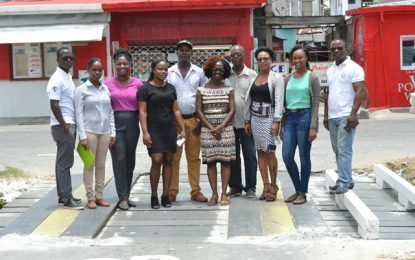 Meanwhile, Muncie lamented that the process of titling and demarcation has been prolonged by overlapping land administration process by agencies such as the Guyana Geology and Mines Commission (GGMC), the Guyana Forestry Commission (GFC) and Guyana Lands and Survey (GLSC). “State land leases, mining and forestry concessions and designated spaces such as protected areas have all become entangled with the requests for extension and the elevation of communities to the village status,” Munice explained. These are major challenges to the completion of the project within the three-year deadline. “An extension of the project is currently being pursued,” Munice noted. 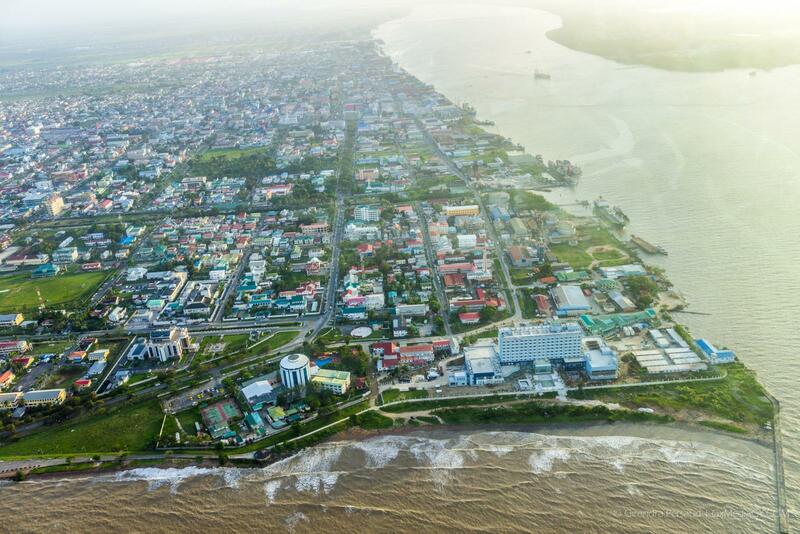 The Guyana Redd + Investment Fund (GRIF) approved US$10.7M project is being undertaken in partnership with the United Nations Development Project (UNDP) and the Ministry of Amerindian Affairs. The project seeks to achieve three major goals: completion of land titles issues and demarcation process for all Amerindian villages that submitted requests, increased use of existing and alternative mechanisms to resolve land titling disputes and thirdly a communication strategy including a handbook describing the process of titling, demarcation and social economic impact of secured land tenure. Minister of Indigenous Peoples’ Affairs, Sydney Allicock said that the delay in the project is worrying. “Within these communities you have the ‘save and except’ clause that has been a worry to communities because some communities are not fully in agreement so there is continued discussion with the relevant authorities,” Minister Allicock noted. Meanwhile, three Amerindian villages are expected to receive their certificate of title at the upcoming National Toshaos’ Council Conference slated for later this month.